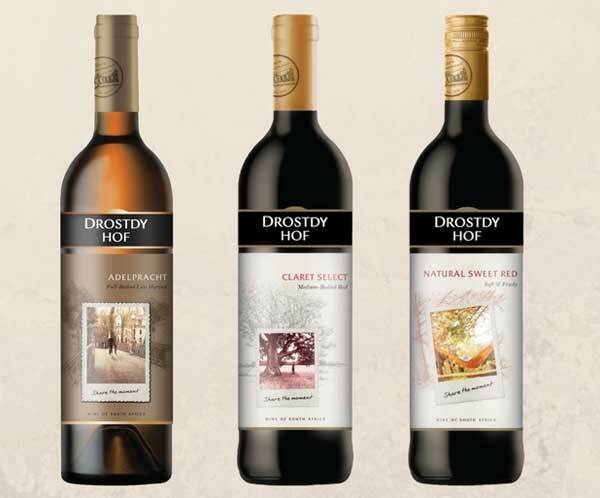 Distell’s value wine brand, Drostdy Hof, has a sophisticated new look: with the new label design being “both respectful of the legacy and modern in expression, inviting consumers to ‘share the moment’ with Drostdy Hof”. The brand is expressed through a distinctive style and uses a frame device with specific colour treatment and texture, inviting consumers to experience the flavour in life’s everyday special moments that often pass by unnoticed. Apart from Drostdy Hof wanting the consumer to recognise the new label-look in store, the updated creative platform and packaging expression has made the brand accessible to the millennial market with the “Share the moment” slogan which features on all the new packaging. “As one of South Africa’s leading wine brands, Drostdy Hof’s new brand message to its consumers is to stop and experience the now and share their everyday moments,” said Frans Booysen, marketing manager of Accessible Wines at Distell. Drostdy Hof is an approachable, accessible, unintimidating and sociable South African brand that has long been trusted for its consistent, great flavour, taste and quality. It offers a wide choice of quality blends and pack sizes with the added convenience for everyday moments, from discovering new experiences and socialising with friends, to ‘me time’. The new pack upgrade for the box wine is available in trade and the 750ml Range pack upgrade will be available from August 2017 at major liquor retailers nationwide.